Apple hasn’t only taken the decision to bump the specs of the MacBook Pro with a surprise 2018 refresh. 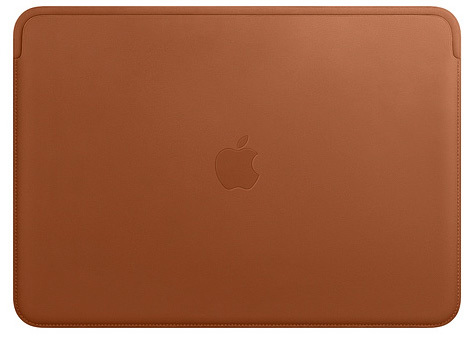 The company also decided to give MacBook Pro owners an option to protect the exterior of the more performant hardware by creating a dedicated version of its official Leather Sleeve which has previously only been available for the smaller 12-inch MacBook. iPhone and iPad owners have spent years purchasing premium hardware from Apple and then choosing to protect that hardware with an additional Leather or Silicone Case purchase which proudly displays the Apple logo. Granted, these cases more often than not can cost more than third-party accessories on the market, but, as with most of Apple’s offerings, there is a real sense of quality and that the accessory has been designed to work flawlessly and harmoniously with the product it was designed for. Now, nearly a year after releasing a MacBook sleeve, Tim Cook’s company has decided to offer the same experience to the MacBook Pro. In a similar fashion to the original release, this new sleeve comes manufactured from the highest-quality French leather and contains an extremely soft microfiber lining to ensure that the exterior of the MacBook Pro is protected and honored. It also features the iconic Apple logo right in the center of the sleeve, which immediately lets third-parties know that this is an official Apple product. 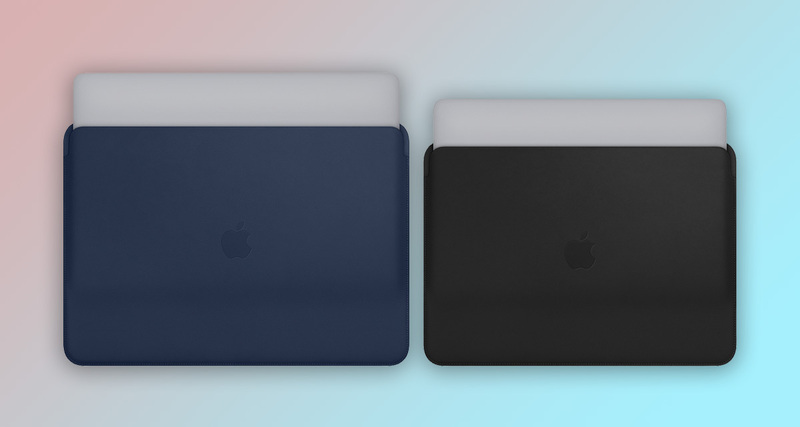 Apple is also offering the new 13-inch and 15-inch MacBook Pro sleeve in a variety of colors. Consumers will have the choice of Midnight Blue, Saddle Brown, or a mysterious Black finish. There is definitely no denying that this is a premium product of a quality that you’d expect from Apple. But, you’re really going to need to love your new MacBook Pro in order to slip it into this accessory as it comes with a fairly eye-watering price. Apple has the new sleeve listed on its website with a price-tag of $179.00 for the 13-inch model, and $199.00 for the 15-inch model. So if you’re in the market for this type of accessory, and you’re serious about your commitment to quality, then this is up there with the best that money can buy for this type of accessory. All that money just to look like your somebody…?